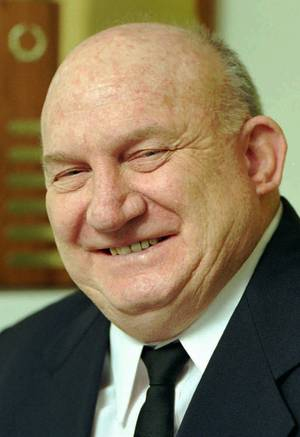 Obituary – Milliron, Virgil Dean « Perry High School Alumni Association, Inc.
﻿Football 46-47, Wrestling 46-48, Basketball 49-50, Baseball 48-50, Red Hot Cheerleader 48-49, Junior Play 49, Teen Town Mayor 49-50, Teen Town Council 49-50, Student Council 48-50, Student Council Vice—President 48-50, Perryscope Staff 49-50, Perryscope Assistant Editor 49-50, Home Room President 48-49, Junior Class Vice—President 48-49, Boys State 49. Virgil, 81, departed this earthly life on April 17, 2014. He was born Aug. 1, 1932, in Perry, OK to Arthur and Wilna (Cowell) Milliron. 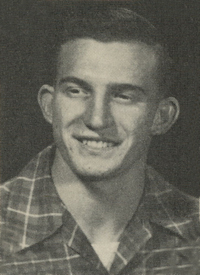 Preceded in death by his parents; brothers, Jim and Bobby Milliron; he is survived by his wife, Elsie; son, Nathan; daughter, Abby Foster and her husband John and their son Ian; brother, Darrell and wife Doris; sister, Carol Ann Walls and husband, Keith; many nieces and nephews and a host of friends. Virgil was a legendary wrestling coach. He coached at Auburn University for four years and coached state championship teams in 1963 and 1964 at John Marshall, in 1966 and 1967 at U.S. Grant and in 1979 at Midwest City. Virgil was a charter inductee in 1967 into the Oklahoma Coaches Hall of Fame along with his high school wrestling coach John Divine. He was also on the original faculty of Oscar Rose Jr. College (Rose State) and served as wrestling coach, tennis coach and athletic director. He retired from Rose State in 1986. The Milliron family would like to extend their deepest gratitude to the staff at Deaconess Hospital for their professional and compassionate care of Virgil in his final days. Viewing will be 4-8 p.m. Tuesday, April 22 with the family receiving friends 6-8 p.m. Services will be 2 p.m. Wednesday, April 23, 2014, at Vondel L. Smith & Son Mortuary, 6934 S. Western Ave., with burial following at Sunny Lane Cemetery.